Okay, AMANZI is a rated PG environment, but you know how we wanted to finish that name. Right? Go Ape Sugar. Go Ape Shizah. Go Ape? well, let?s just say crazy. 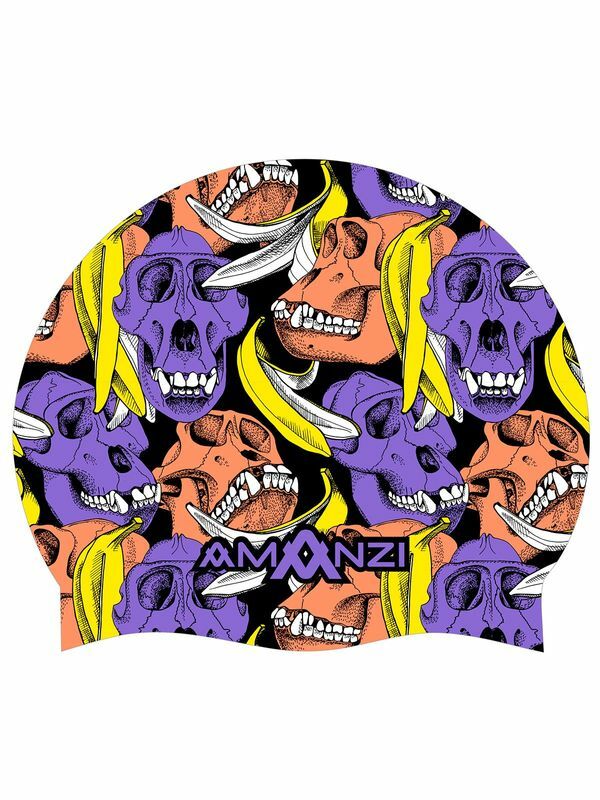 The ape skulls and banana peels make for a real awesome look that is going to get you totally stoked to hit up the pool. Be careful not to slip on a banana peel and make a fool out of yourself though. Also, don?t tell your mummy what we almost called this Silicone Swim Cap- you?ll get us in trouble!